Covering news for a metropolitan area of 300,000+, including the most populated city in the state, HuntingtonNews.net, an online news agency, has been published daily since 2000. We serve a metropolitan area that includes Ashland, Ky., Huntington, WV., Ironton & Portsmouth, Ohio. 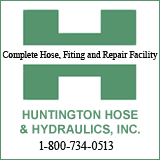 To submit content to HNN, e-mail us stories@huntingtonnews.net OR trutherford@huntingtonnews.net. News/Entertainment Editor: Tony Rutherford, 304-544-8160, trutherford@huntingtonnews.net. Contents © 2018 by Huntingtonnews.net and/or the stated entities.